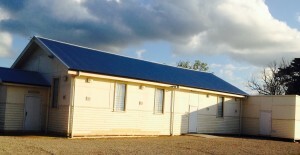 The Bundy Hall is situated on the Sale Maffra Road in Bundalaguah, Victoria, servicing the local Communities of Bundalaguah and Myrtlebank. Bundalaguah and Myrtlebank are in the MacAlister Irrigation District and the farm land around the Bundy Hall is mainly dairying, beef production and some sheep and horses. Our Hall is a great focal point for the people who live in the area, and is easily accessed through the busy Maffra Rd and has been used since it was built by the successful Bundalaguah Branch of the Country Women’s Association. The area also boasts great Primary School and a Cricket Club. The Hall is an excellent venue for music events, markets and community BBQs or get togethers. The Hall may be hired for functions subject to approval from the Hall Committee. Just check that your date is free on The Events Calendar and then go to the Hall Hire page and fill out the Application form and email it to info@bundyhall.org.au. The building is important in heritage terms. The land was given to the community for the construction of the Hall by a local farmer and the Hall itself was built with community raised funds. The CWA was very active in fund raising for this building and has met there regularly since its inception, supporting the Hall for the last 59 years. 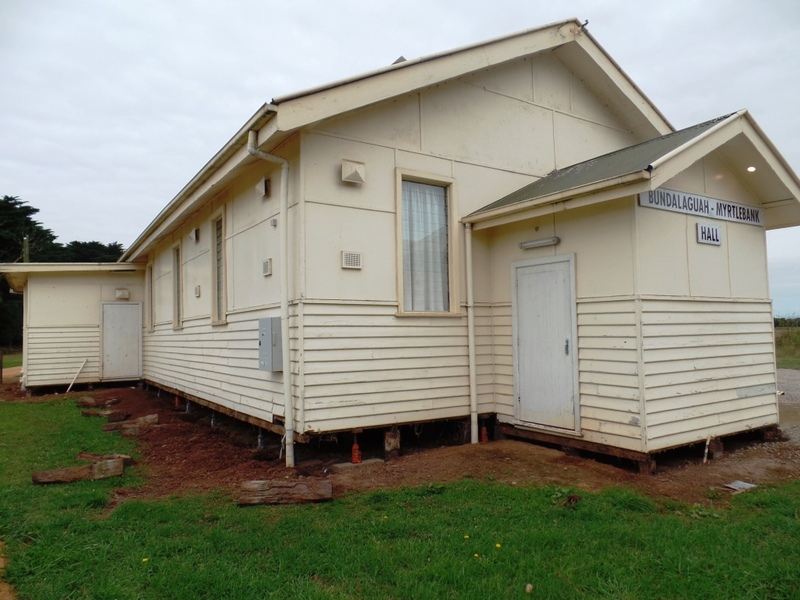 The Bundy Hall has received funding to upgrade the hall from Regional Development Victoria, and the restumping has been completed. 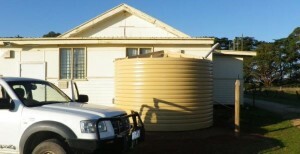 The roof has been replaced with a smart galvanized iron roof, with black gutters and trim, and a new water tank was installed. The kitchen has been renovated, with work mostly done by committee members, in particular Peter Gotts, who is a skilled carpenter. we have a brand new fridge and wonderful cupboards and benches, as well as a new floor. The hall has new curtains and sound baffles to improve the sound coming forth from the brilliant speaker system installed by Paul Versteden and John Burnett. Thanks to Regional Development Victoria and the fundraising by the community, we will have a great facility which is constantly being improved! Fencing, landscaping and painting will continue as well, and new curtains and facelift for the inside of the hall. The accoustics of the Hall have also been improved and lighting installed to accomodate the wonderful live music that Live at the Bundy has facilitated. Support your Community Hall by attending the fundraising functions like the Bundy Hall 60th Anniversary Ball on 22nd November, and have fun with your friends and community!